Welcome to Meet the Teacher – CodeMonkey’s blog segment where teachers from all over the world share their experiences on what it’s like being an educator. 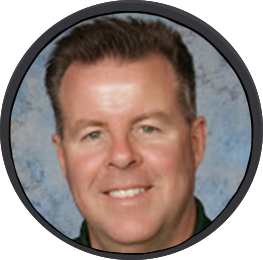 Today’s post features Dan Shuster who is a 9-12th Math and Computer Science Teacher at Royal High School in Simi Valley, CA. “I originally planned to use my math skills to be an accountant. One semester into college, I realized that my love of math would best be suited to teaching and I was inspired to do so by my high school calculus teacher. He really enjoyed what he did and I wanted to be like him. I like sharing my knowledge and passion for learning with others. I would consider myself a connected teacher in many ways. I use an online learning management system as well as my own website to keep students connected to my class. I am not big on social media, but I do use Twitter and have found it to be a wonderful resource for finding and sharing teaching ideas. 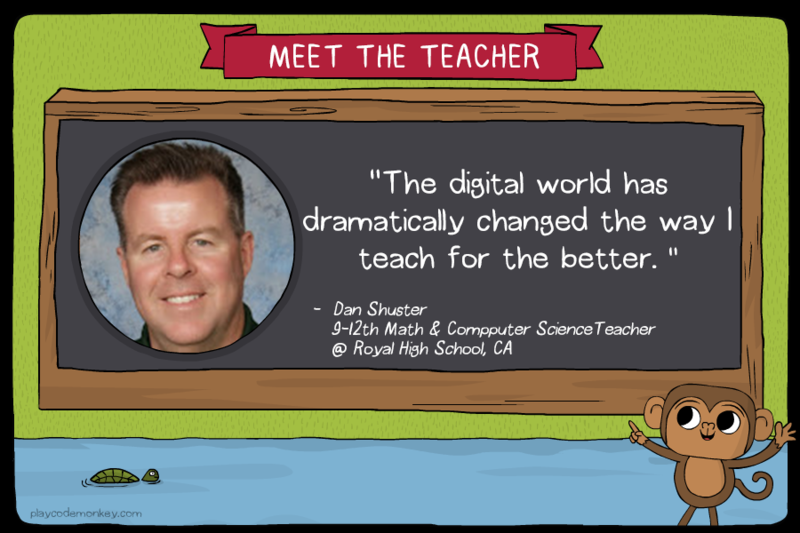 The digital world has dramatically changed the way I teach for the better. Working with children reminds me that the world is a fascinating place with new things to learn every day. Being a teacher has made me a lifelong learner and I am always eager to explore new topics and ideas, especially when they arise from my students. Over the past few years, I have had the opportunity to work with a diverse collection of students from Grades 4 through 12. Being around children all day also keeps me young at heart! It’s important to me that my students leave my class with an enthusiasm and appreciation for what I have taught them and a willingness to learn more the next year and beyond. Always choose a technological tool that allows you and your students to learn more powerfully and/or efficiently. Don’t just use technology for technology’s sake. If a technology gets in the way of the learning, then it shouldn’t be used. It’s all about learning!